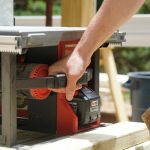 The expansion of larger power tools into the cordless category continues as we see more cordless table saws hitting the market. 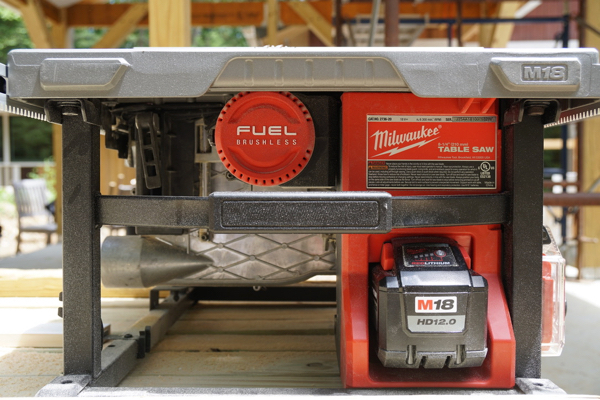 Milwaukee just released their M18 FUEL 8-1/4″ Table Saw running on their 18 volt platform with a single battery pack. 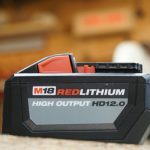 Milwaukee also released a new larger capacity M18™ REDLITHIUM™ HIGH OUTPUT™ HD12.0 Battery at the same time for longer run time and better performance. 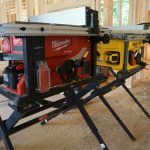 While this isn’t the first cordless table saw (our team has been using the DEWALT FlexVolt for over a year now) it is the first 18 volt table saw on the market which is very exciting for users who have invested heavily in the M18 platform already. 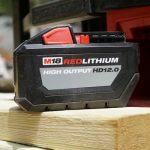 Early next year we expect to see another cordless option hit the market from Metabo HPT (formerly Hitachi). They will be releasing a MultiVolt option that allows users to use a battery pack or an adapter for AC power. So it’s pretty clear the market sees the need for these cordless saws and the power they produce is really impressive. We have two of these saws out on the job right now. I have one on a commercial building renovation project and Rob has one on a house addition project. 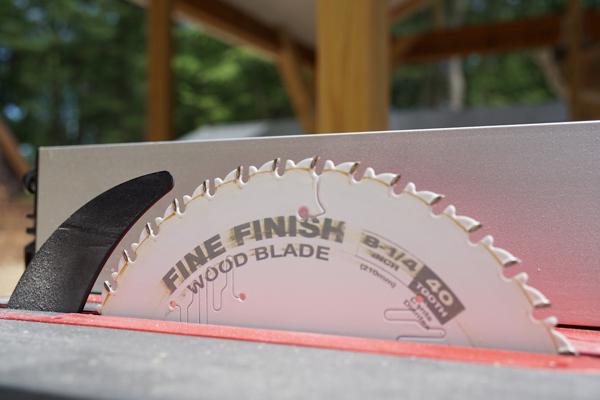 This has allowed us to get some great hands on time with the saws and a great perspective on this new saw. 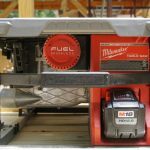 POWERSTATE™ Brushless Motor: Purposely built for the M18 FUEL™ 8-1/4″ Table Saw w/ One-Key(TM) to provide the power and performance equivalent to a 15A corded circular saw. Includes: 2736-20 8-1/4″ Table Saw, (1) REDLITHIUM High Output HD12.0 Battery, M18 Rapid Charger, Blade, Guard, Riving Knife, Push stick, Miter Gauge and Wrench. 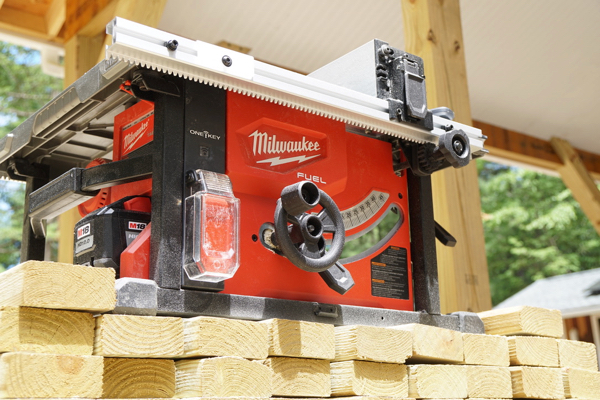 Right out of the box the Milwaukee M18 Table Saw impresses with quality materials and a metal frame. 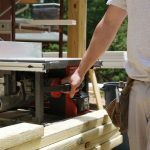 The rack and pinion fence is a quality feature that we’ve come to expect from job site table saws. We’ve been BIG fans of the DEWALT rack and pinion fence since its earned its reputation as a sturdy, repeatable and accurate fence. One of the more annoying features on the DEWALT Flexvolt is that the operator must rotate the blade height knob many times to get the blade to full height. 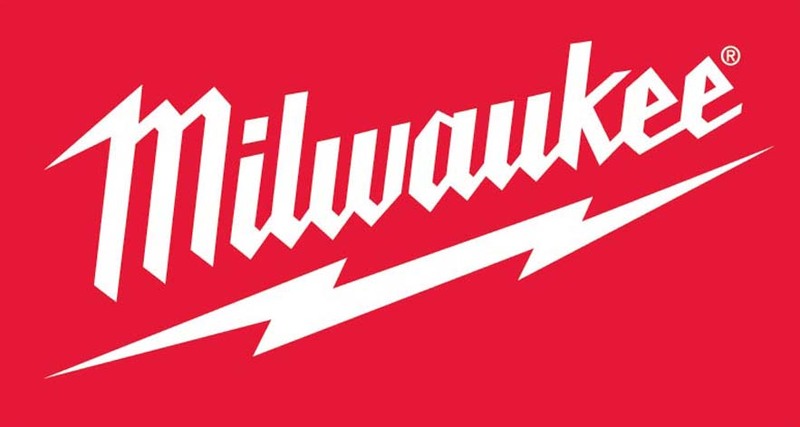 Milwaukee designed a larger gearing ratio in their blade height and can achieve full blade height in 14 turns. In contrast, the DEWALT requires 35 turns to raise the blade to full height. 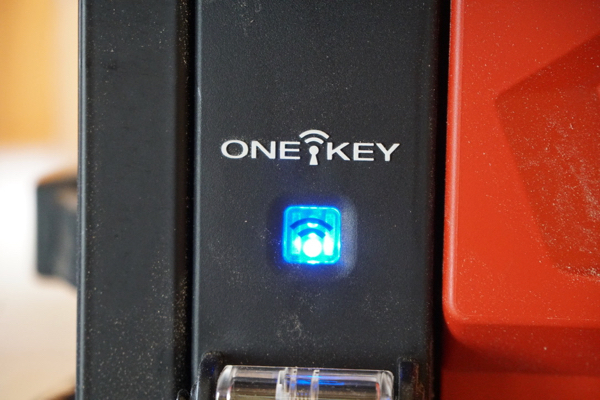 One of the biggest improvements compared to the competition is the on/off switch which works easily and effectively. 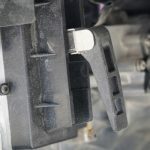 It’s robust, and much easier to use than the DEWALT switch that can be frustrating at times. 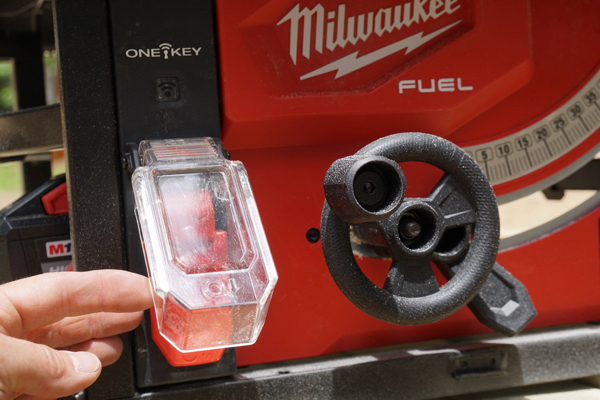 The Milwaukee switch also features “Power Loss Safety,” which means that if switch is powered in the ON position, and the tool stalls, the battery is removed or runs out, the tools trigger will need to be recycled in order to power the saw back on. 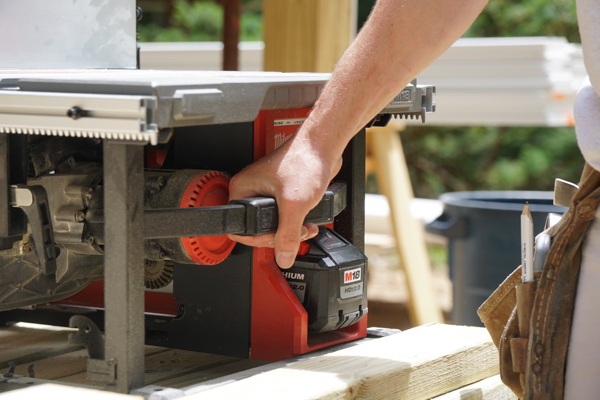 The frame and handles on the M18 table saw make it very easy to carry and move. Weighing just over 40 lbs this saw is extremely portable and a great option for punch list work, finish work, and remodeling where a large saw isn’t practical. The current project that I’m on is a basement renovation of a commercial building and this saw is far easier to get down the stairs than a full size saw. 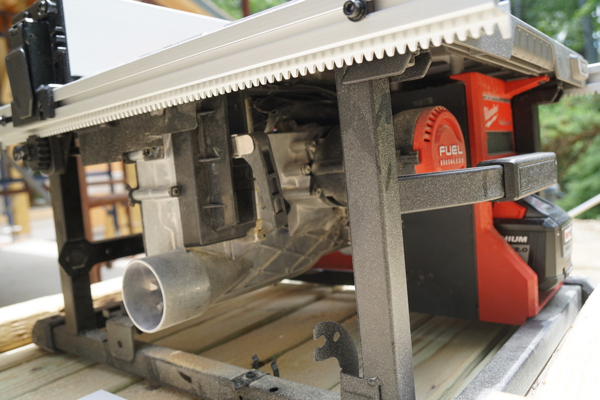 One nice feature we notice is how nicely this saw stores on its side in our tool trailer, the table saw feet and table edge are in such a position to allow the tool to sit flat and secure on its side. It also gives a nice stackable option as well and I found myself storing other brand tool box on the saw as sell. 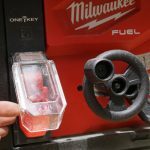 The Milwaukee features a tool-free guard and riving knife removal, which is also an excellent feature. 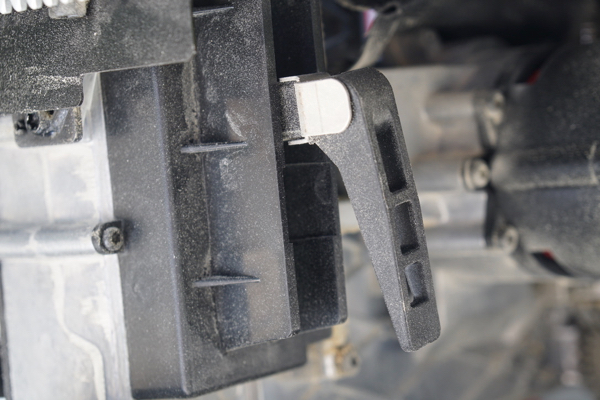 A lever on the rear of the saw easily and quickly releases the riving knife. No need to reach below the table surface into the blade area to release the guard. Another nice feature with the Milwaukee saw is the blade change. 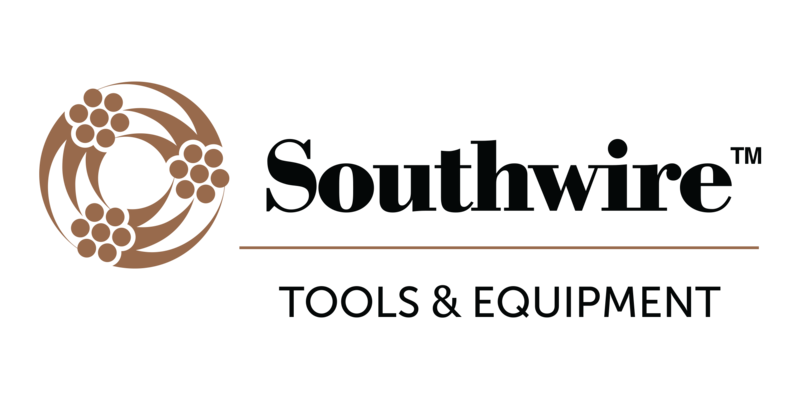 The saw uses a single wrench system in conjunction with a finger push, shaft arbor lock. 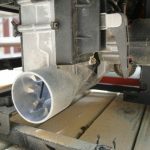 Milwaukee spent some time thinking about dust collection and installed a canvas cover that “follows” the saw blade trunion. This design helps keep dust in alignment, with the dust extractor suction, and keeps the dust flowing in the right” direction. 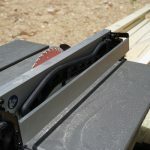 The reality is that most contractors do not connect to a dust extractor, but when hooked up to one , it works reasonably well. 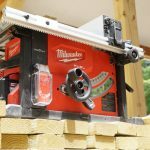 Milwaukee is offering a scissor style stand with an adjustable foot. Assembly is required and the instructions and labeling are horrible. The saw attaches to the stand without fasteners and the height of the table is 34″ off the floor. 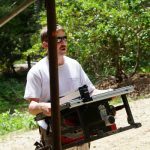 Over the last year or so since cordless table saws started hitting the market we’ve seen so many comments on social media about a cordless table saw being useless, ineffective, and not worthy of a real job. 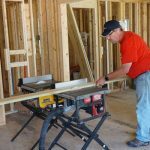 However, what we’ve seen from our experience on our jobsites is just the opposite. We’ve found that for the large amount of the work we do, a more portable and versatile saw is very useful. 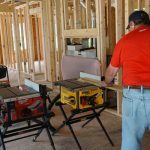 This statement is only true however if the saw can perform a large portion of the tasks that contractors do. 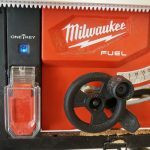 Milwaukee completely redesigned this motor and electronics package to be able to manage the power of a 12.0Ah battery. 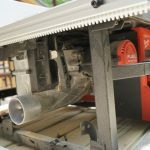 When you focus on making a better motor you invest your money and effort in higher grade magnets, and more copper, and that’s what Milwaukee did in order to generate the power needed for a table-saw. They also upgraded the “behind-the-scenes” stuff, like firmware and electronics. 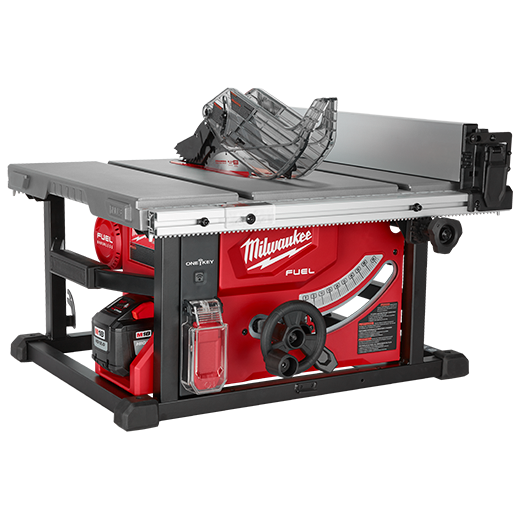 Milwaukee does NOT have any plans currently to offer an AC / DC dual powered table saw. 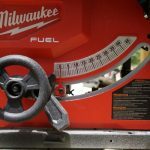 When comparing the two saws [Milwaukee vs. DEWALT] Milwaukee has a slightly higher RPM motor, which will most likely allow it to excel when ripping 3/4″ plywood and 1x stock. The real question everyone’s asking is about run-time. If the saw can’t run long, then there’s not much sense in having one on the job, unless you just like looking at it right? 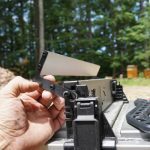 Note – we tested this saw with M18 5.0 and a M18 9.0 Ah pack and the saw worked fine – no runtime testing was done on these battery packs. 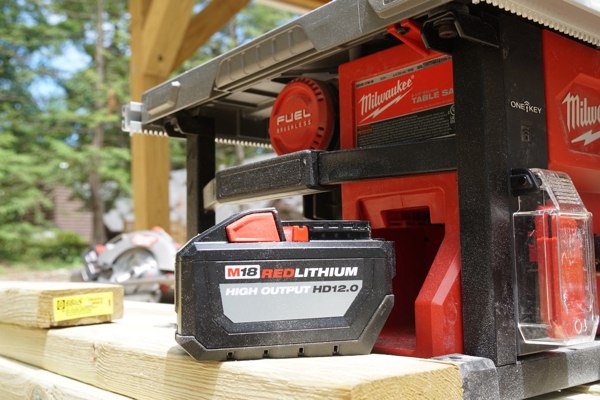 We decided to some run-time testing with the Milwaukee 12 Ah pack by ripping some 5/4 PT decking. We used a new fully-charged battery and a new blade. We proceeded to make repetitive 1/4″ rips in 5/4 Pressure -Treated decking. We did three rips and allowed the saw to rest for approximately 2 minutes before performing the next three cuts. We recognize that this is an aggressive test for a cordless tool, and we were probably close to thermal shutdown by the end of the test. 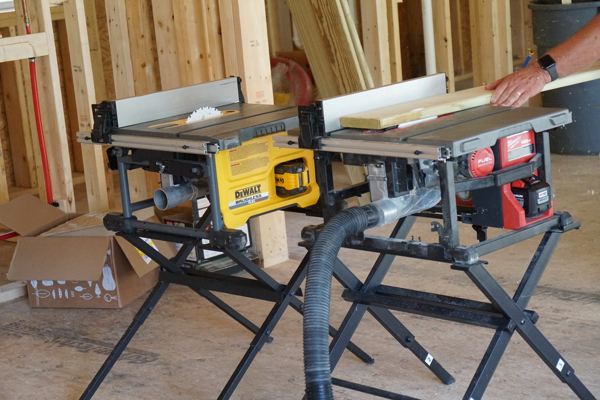 We also have been doing some similar run-time testing with the FlexVolt from DEWALT but we’ll hold off on the comparison until we do a true head-to-head test between these two saws. The results of our run-time testing seem to at least make us believe that the numbers Milwaukee is claiming are pretty accurate. If you look they are claiming 250 lf of 1x Oak and we got 304 lf of 5/4 PT Southern Yellow Pine. So is this adequate run-time? The answer really depends on how you use the saw. I can tell you that guys on my crew have been using the DEWALT for quite some time and they really love the portability and having a 2nd battery really means the saw never truly goes out of commission. Ripping over 30 pieces of 8′ long PT decking is quite a bit of work when you stop and think about it. 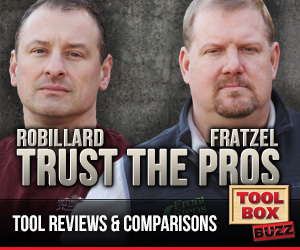 As I said we’ll be doing a real Head-to-Head of the DEWALT and Milwaukee really soon so you have a better comparison of their capabilities so be on the look out for that. 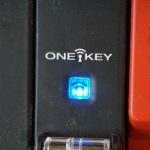 A lot of contractors myself included have not “jumped on the One-Key bandwagon,” instead deferring to larger commercial contractors to get excited about it. The ability to completely lock out your table saw is not just a liability issue but a longevity one as well. There are times that I will leave miter saws and table saws on a secure residential job site only to find out later that a drywall contractor used it without permission. I have even cable-locked my tools and came back to find them set up and used. While you can make the argument that you can simply take the batteries with you, there are many contractors that work on my battery platform. If you run more than one tool or you have crews that take tools, knowing who has it and and its location, is useful. Have you ever finished a job ad asked your guys if they’ve seen a specific tool, ladder or staging? I know I have. 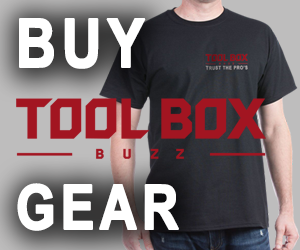 Useful for managing your tool arsenal, this is where you can keep track of serial numbers, models and purchase dates for warranty or repair work. Tracking the tool in the case of theft is also a nice feature…. kinda like the iPhone “find my table saw,” feature. 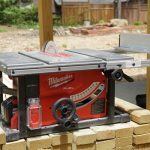 The Milwaukee M18 table-saw will sell for $549 as a kit [12 Ah battery] and $399 as a bare tool. Expect to see this saw sometime January 2019. 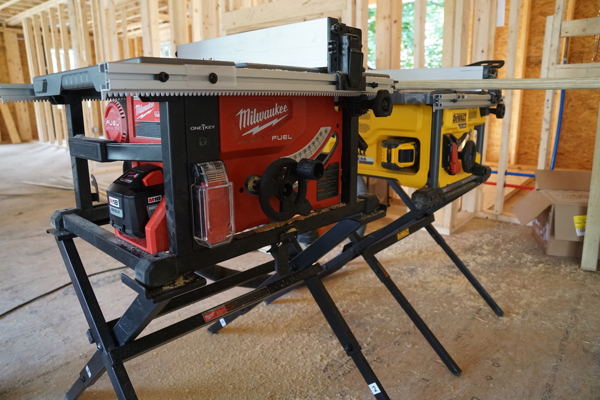 We are very impressed with the Milwaukee M18 Cordless 8-1/4” Table Saw and the attention to detail put into it. 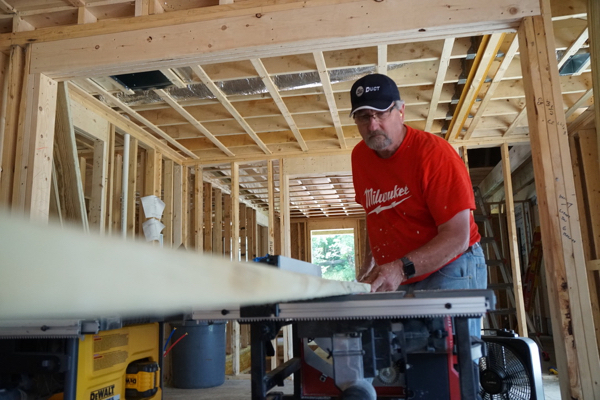 This saw is a prime example of the hard work Milwaukee is putting into building out the carpentry core tools, and their commitment to making a cordless job site. 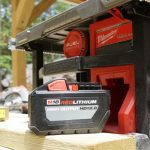 This cordless table saw is a fantastic tool with some nice unique features, it is powerful, has great features and now competes with the DEWALT Flexvolt! A healthy competition means better tools for us! I can find nowhere in your review about adjusting the bevel cutting angle. Some saws just “flop” when they are in bevel adjustment mode. Does this one have a wheel or something to get fine-grained bevel angle control? Also, can you comment more on the sturdiness of the fence and the stiffness of the table — did you make any measurements of how accurate the blade alignment to the mitre-saw slots are, or how difficult it might be to adjust same? For bevel adjustment this saw works like nearly every job site table saw I’ve ever used. There’s a release lever below the blade height wheel, and you have to manually tilt the blade. I’m not aware of any portable job site saws that use a wheel like a cabinet saw. Remember, this is a compact, portable saw and saws in this category don’t have every bell and whistle. The fence is very good, the rack & pinion feature is great. We haven’t tested flatness or accuracy from slot to fence yet, we are planning to do a detailed head to head between this saw and the DEWALT shortly, and we’ll be doing that. I just bought this saw and was checking the table flatness. It’s not perfectly flat. For example when I remove a throat plate and put 7 inch rafter square across the throat plate slot I can push the square on one end and it will slightly move. This is my first table saw and I am not sure what kind of accuracy to expect from this portable saw. Should I return it to Home Depot and try another one and see if it’s any better. Almen – On portable saws the table flatness is never perfect like a shop saw. Shop table saws have cast iron tops that are machined, but they are VERY heavy. For these portable saws they can’t weigh that much so they are typically made from lighter materials, and can’t be machined really flat. Every brand is somewhat similar in nature for these light weight saws. 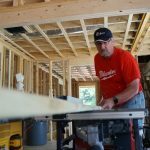 Can you go into a little more detail about installing a dado stack? I’m trying to decide which 6” set to get for the saw and I can’t find any reviews or videos anywhere that show a dado stack running in the saw. What specifically would you like to know? 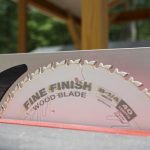 You’ll need to remove the standard blade, install a 6″ dado stack (width depending on what you’re cutting), and insert a proper throat plate for cutting dado’s. Table top on my new Milwaukee is perfectly flat side to side/front to back. 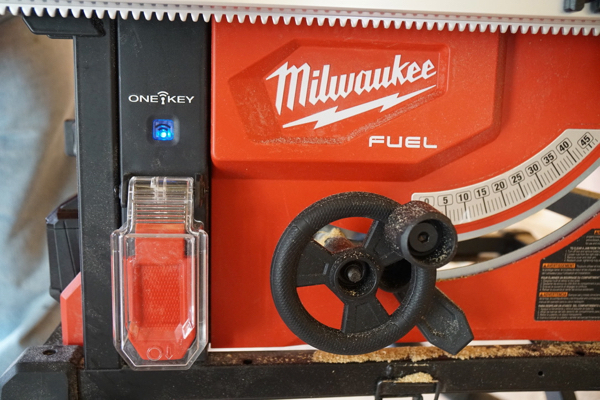 I did the comparison…Fuel vs flexvolt and can tell you that the Milwaukee is the better deal, from quality built/more power for the price range of the two.